So, some harmless self promotion here on my behalf! If you have any questions please leave a comment for me and I’ll reply asap. 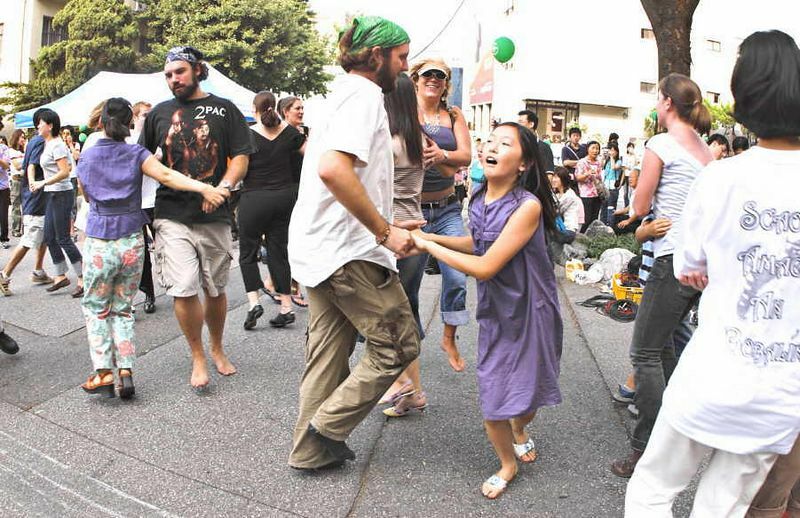 For the second year in a row the Irish Association of Korea’s will host a céilí in Seoul. This September’s event will take place on September 25th in the new D Cube Center at Sindorim Station (Line 1 & 2). The event will be both a showcase for traditional Irish dance and music and for a chance for the general public to try out some Irish dancing. A céilí is a large group dance that originated in Ireland. The name céilí originates from the Irish word le chéile, which means together. It is this togetherness which typifies every céilí dance. Dancers form into pairs or groups of four and dance together with other groups. The music itself is usually not fast and participants can enjoy a relaxed, friendly and sociable occasion awaiting them. A fun family day out is promised. The dancing is suitable for all ages and all levels of enthusiasm. The steps are easy and don’t require any level of expertise to learn, and even if you are worried about missing a ‘2’ in your ‘1,2,3’ step, don’t worry as there will be plenty of volunteers on hand to help and guide you through. There is no need to feel intimidated if you are expecting something similar to the famous Broadway extravaganza, Riverdance. While there will be some demonstrations of Irish dancing with more than its fair share of high kicks and athletic skipping, céilí dancing is a much simpler variant of Irish dance. This September’s céilí promises to be a special event and will include two groups playing traditional Irish music. One group, Bard, is comprised of Korean musicians and have had considerable success playing in competitions in Ireland. The second group, Banú, is made up of musicians from Ireland, Korea, the United States, and Canada. 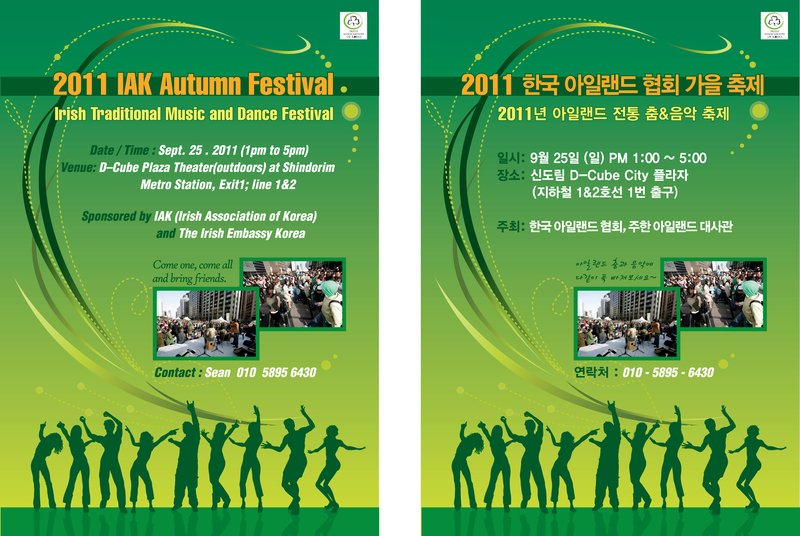 As well as this, there will be displays by two Korean Irish dance troupes. The music and dancing will start at 1pm and will continue until 5pm. To get to this event take the subway to Sindorim Station (line 1 & 2) and leave by exit 1 or 2. The event will be held in the large theatre space in front of the D Cube Center. Please follow the signs from exits of the subway station, and if in doubt listen out for the music. This event is kindly supported by The Irish Embassy and Daesung Corporation. This entry was tagged ceili, culture, dancing, festival, ireialnd, Irish, korea, music, seoul, trad session. Bookmark the permalink.